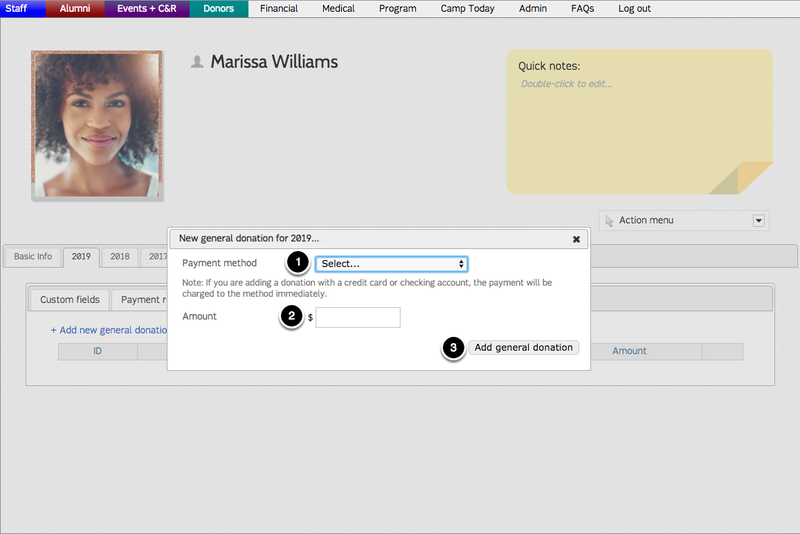 In addition to submitting a payment towards an individual family's account, donors can also make general donations to your camp. 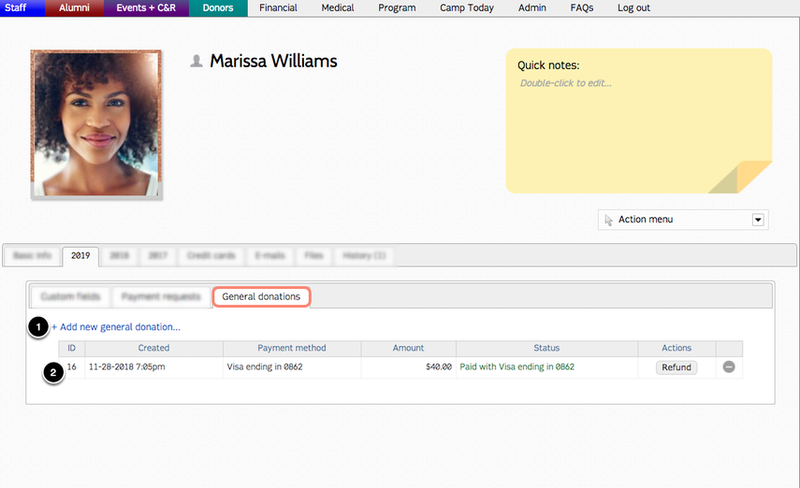 General donations can be viewed on a yearly basis, within the "General donations" tab under the associated yearly tab of the donor's profile page. Donors may make a general donation payment at anytime, via the Donor Dashboard. Admin users may also make a general donation payment via the donor's profile page. Choose a payment method for the donation. Note that if you wish to make a general donation via credit card or checking account, the credit card/checking account must have already been added to the donor's account prior to this step. Enter the amount for the donation. Click "add general donation." If you are adding a donation via credit card or checking account, the payment will begin processing as soon as you click "add general donation." View the transaction ID number. View the date and time when the donation was posted into CampSite. View the payment method used to make this general donation. View the amount of the donation. View the status of the donation.